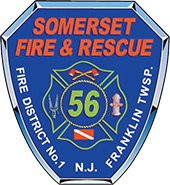 On January 19, 2018 Stations 56 and 44 were dispatched to a working structure fire in station 56’s first due area while out on another run. Car 56, E561, E562 responded along with the 2nd alarm mutual aid companies. Crews operated on the scene for approximately 2.5 hours.